Ask her out on a date. Call it a date and it will make her feel very special. Tell her to dress up and take her out to a nice restaurant for lunch or, for a ladylike touch, brunch. Chat about what is going on in her life and at school. Go and do something fun like ice-skating or go-karting (it’s not just for boys!). The shared giggles will only serve as cement to your bond. Have a spa day. Nothing fosters positive self-esteem like getting a makeover with mom! Have your nails done side-by-side and chat, page through glossy magazines and finish off with a new haircut. Go and see a theatre show or movie. Although you won’t be able to chat much during the show, you will have a shared experience to discuss together afterwards. Take her shopping. All girls love a good day of retail therapy. Help her find a cute new outfit, compliment her and finish it off with coffee, where you can sit and gush over your findings. Plan a slumber-party night in. Put on face-masks, paint each other’s nails and watch the girliest movies that you can find. Don’t forget about the popcorn! Do something that she really wants to do. 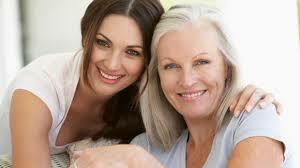 Few things foster great mother-daughter relationships than compromise on outings. If she has been dying to go and see that teen-pop band that you can’t stand, go with her! It’s one night of earplugs for you and a night of bliss for her. She will really appreciate you stepping out of your comfort zone for her happiness. Cook or bake up a storm. Many, many little girls’ childhood memories include helping their mom in the kitchen, the smell of newly baked delights wafting through the air. If baking isn’t really your thing, make those memories in another way, such as with ready-made cupcakes that you ice together. Redecorate. A girl’s room is her safe haven. Imagine how happy she would be if you two went shopping for new decorative items for her room and then spent the day spring-cleaning and redecorating it? Now that you have some helpful ideas for a mother-daughter bonding day, make time as often as possible to do these activities. Make a point of cementing bonding days as special days just for the two of you and enjoy each other’s company!